Jack Mitchell, CEO of The Mitchells Family of Stores, announced New York jeweler Fred Leighton will bring his jewelry to Mitchells of Westport and Richards of Greenwich. This cuff is one of the pieces. New York jeweler Fred Leighton will bring its "vintage jewels to collect, treasure and wear with panache" to Mitchells of Westport and Richards of Greenwich, the company's upscale specialty clothing stores, according to Jack Mitchell, CEO of the Mitchells Family of Stores. This partnership marks Mitchells' and Richards' entry into estate vintage jewelry, and the two stores will be the exclusive retailers for the Fred Leighton collection in Connecticut. "We are elated to expand our partnership with Fred Leighton and have its exquisite collection become an even more important part of our jewelry line, which is the fastest growing segment of our retail business," Mitchell said in a statement. "This is one more way that our associates at Mitchells and Richards can continue providing the most dedicated, personalized service to our customers." Fred Leighton, which was purchased by the 100-year-old Kwiat company in 1999, has curated a collection of distinctive and wearable pieces for Mitchells and Richards. "These pieces have an effortless style and glamour," CEO Greg Kwiat said in the statement. "They are perfect for the stylish and sophisticated clientele that comes to Richards and Mitchells to encounter the finest in quality and luxury." Highlights of the collection include a 1930s diamond and platinum necklace by Van Cleef & Arpels, a 19th century old-mine diamond swag necklace, a 1920s diamond and platinum bracelet by Cartier and a 19th century blue enamel, diamond and pearl snake bracelet. 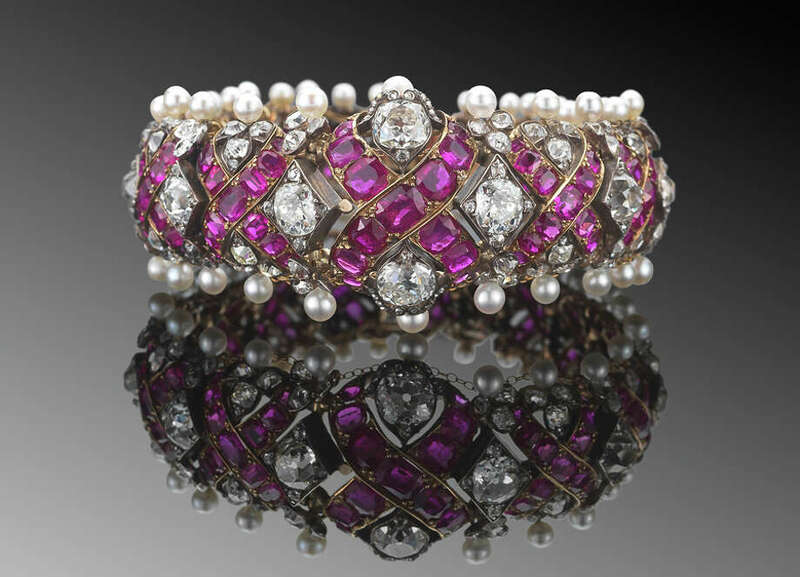 Fred Leighton, established more than four decades ago in New York, has built an estate and antique collection with jewelry from the 19th and 20th centuries, ranging from the Victorian era to Art Deco to 1940s Retro and modern masterpieces. Fred Leighton jewelry has been worn by celebrities such as Sarah Jessica Parker, Jennifer Aniston, Nicole Kidman, Jennifer Lopez and Michelle Williams. In addition, fashion magazines also feature Fred Leighton Jewels on a regular basis. "The Fred Leighton jewel is at once collectible and wearable, curated with great care to reflect the belief that great design is timeless and style is eternal. We have long held that great jewelry is fashion's best accessory. 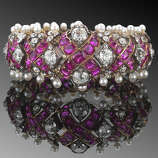 The one-of-a-kind jewels in our collection are each as rare as the woman who wears them," Kwiat said. Mitchells launched its jewelry department more than 20 years ago with two display cases, and embarked on a strategy to expand its jewelry offerings in 2001. Three years later, the store added diamonds and fine jewelry to its collection bringing in designs by Temple St. Clair, Michael Beaudry and Cartier. The Mitchells Family of Stores is a collection of family owned men's and women's specialty stores based in Connecticut, with locations in New York and California. The company has grown considerably since Ed and Norma Mitchell founded the first Ed Mitchells store in Westport in 1958 with three suits and the family coffee pot. Now operated by 10 second- and third-generation Mitchell family members, the company's expansion included the 1995 acquisition of Richards of Greenwich, the 2005 acquisition of Marshs of Huntington, N.Y., and the 2009 acquisition of two Wilkes Bashford stores in San Francisco and Palo Alto, Calif. Thomas Miller Menswear represents the most recent addition to the Mitchells Family of Stores. More information is available at www.mitchellstores.com.